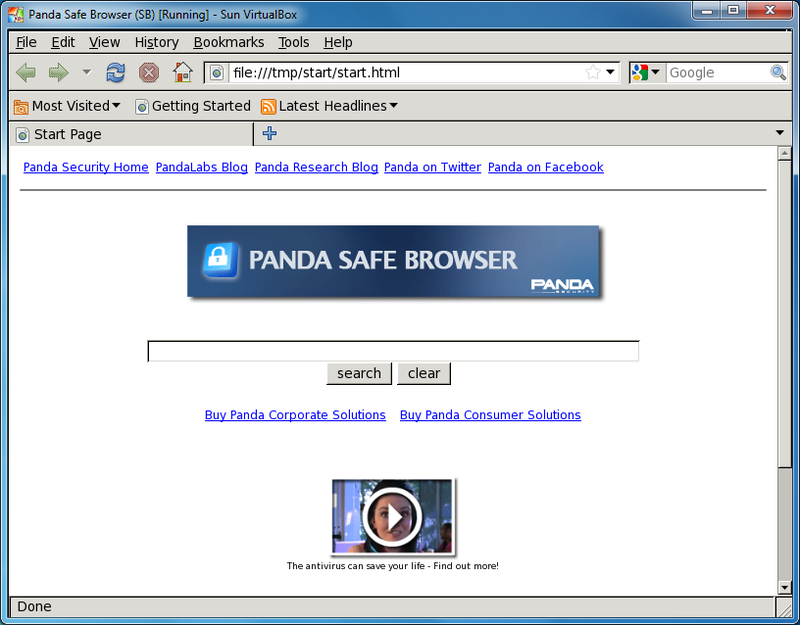 Panda Safe Browser is an interesting security tool that allows you to browse the web without being affected by any malware that you might encounter along the way. This works by providing multiple layers of security, keeping threats as far away from your PC as possible. Panda Safe Browser is a virtual machine, for instance, isolated from your main computer: it's hard for malware to cross this boundary. Within the virtual machine is a small Linux distribution, which means you're not exposed to the same level of vulnerabilities as a Windows system. This is then configured to use minimal security procedures, so even if you attacked by malware, it won't be able to do very much. And there are very few plug-ins available, reducing the potential security holes even further. While this sounds complicated, it really isn't: you don't have to know anything about virtualisation or Linux to make Panda Safe Browser work. During installation it will download and install VirtualBox and everything else you need, then set it all up. Once this is complete, all you do is launch a shortcut and a copy of Firefox will appear, allowing you to browse the web as normal (only safer). The one annoyance we did spot is that the program won't recognise an existing installation of Oracle VirtualBox, installing an old Sun version instead, which will cause problems. If you have VirtualBox already then back up your settings and virtual machines before installing Panda Safe Browser. Actually, I have already used panda browser so for that I have some different tricks about it if you interested with it then I prefer you to use it and you will get more features after doing it. Further https://epsonsupports.net/blog/fix-epson-error-code-0x97/ just visit with it.